The Orville A. Vogel Wheat Research fund was established to support production-oriented wheat research and to encourage basic and applied research directed towards identifying factors that limit the maximum production capability of wheats grown in the Pacific Northwest. Emphasis, as outlined in the Gift Use Agreement, is given to microbiological limitations to yield, affordable yields as they relate to conservation practices, and the development of varieties that further these goals. CAHNRS Office of Research is particularly interested in providing funding that will allow faculty to pursue new directions or form new collaborations, fill fundamental knowledge gaps that will enhance our capacity to address significant issues facing Pacific Northwest wheat growers, generate preliminary data that will enhance competiveness for federal funding and/or from corporations that will bring the best science to bear on wheat research. The O.A. 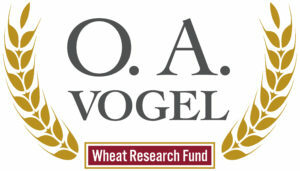 Vogel Wheat Research Fund is NOT designed to supplement currently funded projects or as a substitute for other funding. For questions about the O.A. Vogel Wheat Research Fund, past projects, or its impacts, contact Mark Hubbard (mark.hubbard@wsu.edu) in the Agricultural Research Center.